Finally, after multiple seasons of waiting, it seemed like Gotham had introduced the one Batman villain everyone had been waiting for: The Joker. With Jerome's tragic death, to the transition of madness to his twin brother Jeremiah (both played by Cameron Monaghan) the One Bad Day legend had been fulfilled, and Gotham City's Crown Prince of Crime had been born. Well, at least that's what we all thought. 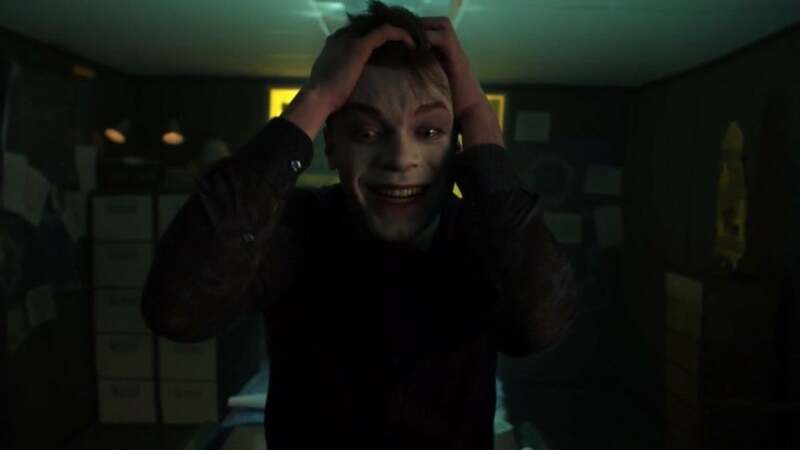 Despite all of the obvious references to the iconic villain, and the Killing Joke pose that ended last week's episode, this newly-insane man is still going to be known as simply Jeremiah Valeska. "I don't think so, no," Cannon confirmed. "This is an origin show about the beginnings of everything, therefore we just wanted to do the beginnings of why. When we first did the pilot, we were trying to create a world where someone like Batman would be necessary, and that's what we've done these last four years. If you want to survive as a villain in Gotham, you've got to think big. "We just wanted to really make an origin story of not just one character at a time, and how they got made, but why things get so out of hand in Gotham, and where criminality is going in Gotham. How far it can get, how bad it can get before someone dons that black suit, becomes a vigilante that will change the city forever." While Jeremiah won't be the Joker by name, he and Jerome were both very heavily influenced by the classic villain from the comics, which actually makes what Gotham is doing with him even more exciting if you're a fan of the source material. Just before Jerome died, he told Jim Gordon that he was so much more than a man. He's an idea, a concept. The spirit of madness will continue without Jerome walking the Earth. That's exactly the twisted foundation that the Joker himself is built on. "Well, I think that just spawned the conversation of the idea of it, of the Joker not being a one person, but like I said, it's a personality," Cannon explained. "It's a way of thinking. It's more powerful than just one person. Therefore, that sparked the conversation of, if it's the opposite of good, the opposite of Bruce Wayne, is somebody who just wants to destroy, and wants to do it in a chaotic way, then that could be anyone, because you are literally just going the opposite of your main character and take it as far as you can go. I don't think that's just one person. I think that is a way of life, it's an ideology." So, while Gotham may not ever use the word "Joker" in reference to a specific character, the villain so clearly rooted in the DNA of the series, just as he should be. Batman can't be born without the Joker, and the Joker is alive and well in the spirit of Gotham City. New episodes of Gotham air on Thursday nights at 8pm ET on FOX.